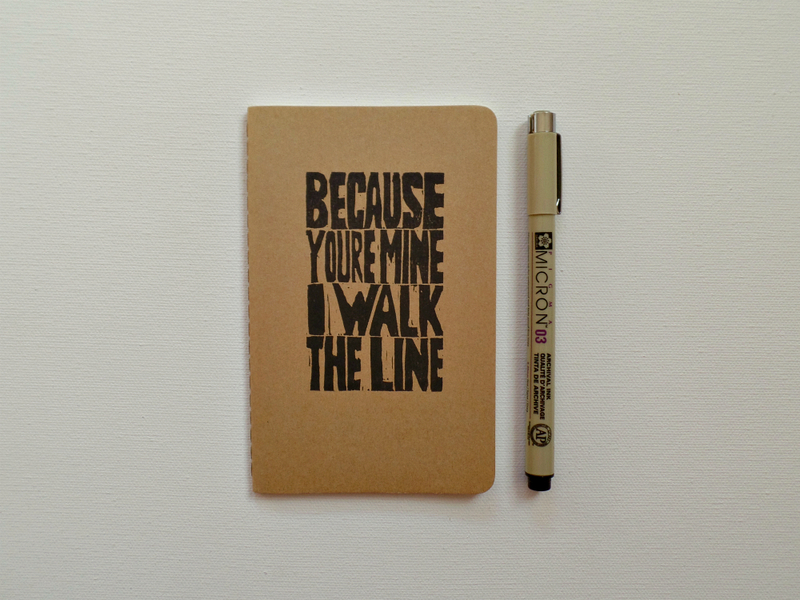 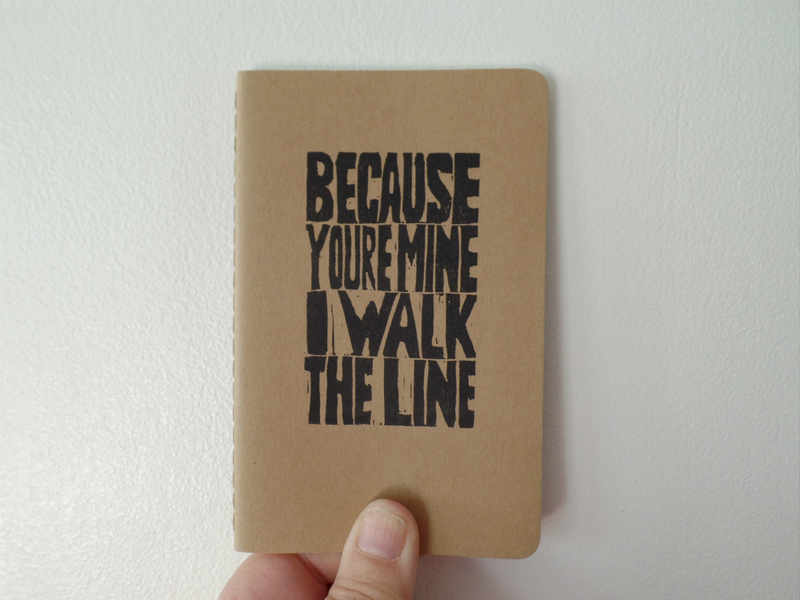 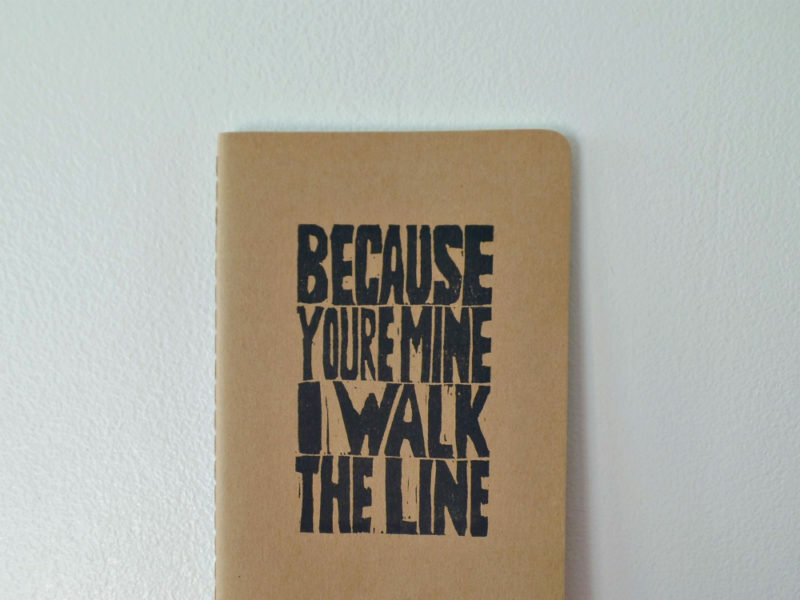 An unlined pocket moleskine notebook is hand printed with a hand carved block, in black ink with lyrics to the Johnny Cash song – I walk the line, in a perfectly imperfect style. 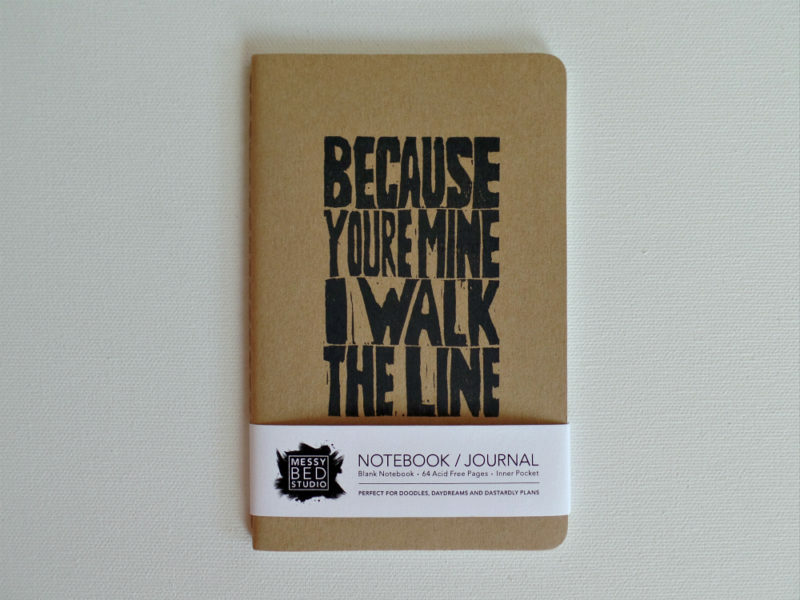 A very cool way to record your vows, profess your love or to have a keepsake of your special day. 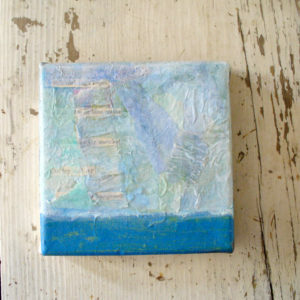 A romantic little gift for the one you love or a vow renewal memento. 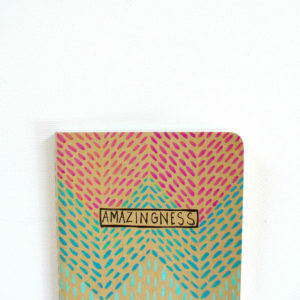 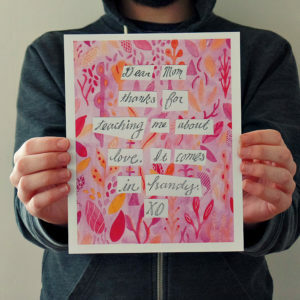 As each one is hand printed there will be some charming variations.